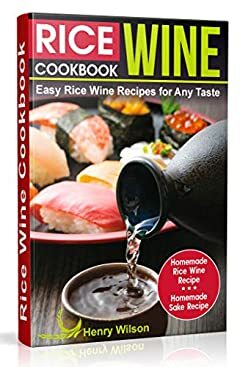 If youâ€™re looking for a cookbook that offers healthy Chinese, Korean and Japanese recipes with restaurant-quality taste, look no further than theÂ Rice Wine Cookbook! Bonus! Homemade Rice Wine Recipes (for cooking rice wine and Japanese â€œsakeâ€)! You'll never have a reason to order take-out again!